Amy Murrell Taylor is associate professor of history at the University of Kentucky. 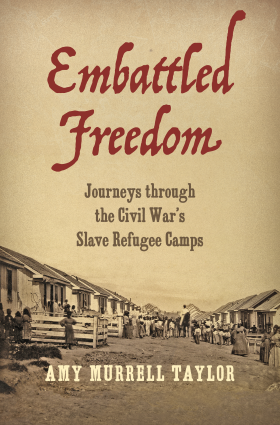 Taylor will discuss her new book Embattled Freedom: Journeys through the Civil War’s Slave Refugee Camps, focusing on these camps as physical spaces – and all the meanings wrapped up with the physical design and structure of them. Taylor’s lecture will further discuss what happened to these spaces in the postwar as they disappear, considering what their disappearance meant to the larger quest for African-American freedom and citizenship. Taylor is a member of the editorial boards of the Journal of Southern History and the Civil War Monitor magazine, as well as co-editor, with Stephen Berry, of the “UnCivil War” series at the University of Georgia Press. Previously, Taylor is the author of The Divided Family in Civil War America. 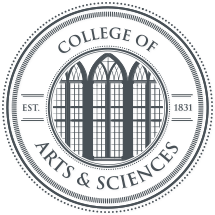 Her research has been supported by fellowships from the National Endowment for the Humanities and the American Council of Learned Societies. This event is sponsored by the Charles G. Summersell Chair of Southern History, and is free and open to the public. The author’s book will be available for sale at the event.